An EMT driver in Maine totaled an ambulance early Wednesday morning when he fell asleep at the wheel and crashed. Maine State Police say troopers responded around 4 a.m. to a report of an ambulance that had gone off the road on Route 11 in Masardis. 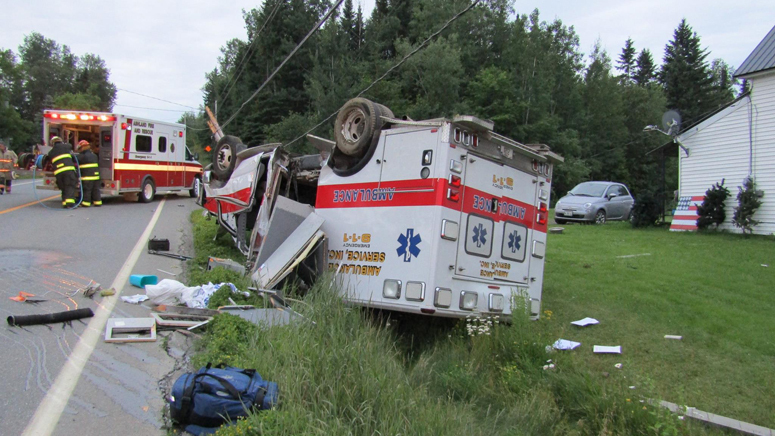 Russell Jandreau was driving a Fort Kent Ambulance traveling northbound but fell asleep, struck a utility pole, rolled over and landed in a ditch. Jandreau and one other ambulance attendant were taken to the hospital with non-life-threatening injuries. No patients were on board. The ambulance was deemed a total loss.